U-Multirank, a new university rankings system has been launched under the Irish Presidency of the European Union. This initiative is an attempt to broaden the current rankings systems which many consider to be too narrow in their focus, particularly with the media emphasis on league tables. Some 500 universities are expected to sign up to take part, with the first rankings results expected in early 2014. An independent consortium will compile the ranking, led by the Centre for Higher Education (CHE) in Germany and the Centre for Higher Education Policy Studies (CHEPS) in the Netherlands. The U-Multirank website explains the project in all its facets. For the honours student, the European Commission final report on the initiative runs through the myriad of complex issues involved in designing a 'Multidimensional Global University Ranking System'. Finally the following online article gives some background to recent press comment about the initiative. Topic 1 in the AWC Annual Academic Writing Competition: Identify a commonly held perception and explain why it is incorrect. The following are examples of such perceptions: ‘votes for women was a great cause with a positive outcome’; ‘everyone has a right to education’; ‘one must distinguish between dreams and reality’; ‘homicide is not civilized behavior’; ‘modern life owes a debt of gratitude to Thomas Edison’s inventions ; ‘we cannot escape the burden of the past’. Any commonly held perception in any field is acceptable. However, your piece may not contain anything libellous. 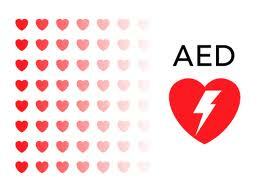 To learn about the life saving capabilities of the AED (Defibrillator) machine located in the Library Foyer, see how it works, and in particular hear what you as a by-stander can do in response to a cardiac emergency occurring, come along to a short practical briefing session on St. Valentine’s Day - who knows it may help you save someone you love one day. "Digital Humanities Awards are a new set of annual awards given in recognition of talent and expertise in the digital humanities community and are nominated and voted for entirely by the public." Voting is now open and will close on 17th February. Your support and vote in this would be greatly appreciated. Support your Library!